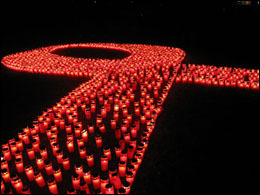 HIV/AIDS has touched all of our lives. We have got to make a difference. This entry was posted on Friday, December 1st, 2006 at 5:05 pm. It is filed under Random Thoughts. You can follow any responses to this entry through the RSS 2.0 feed. thanks for the reminder and happy belated blogaversary!